This is a special week and our prevention staff is using the opportunity to raise awareness about the importance of preventing substance use and promoting positive mental health. But their efforts don’t stop at the end of the week. Their programming continues throughout the year in our schools, through community coalitions and by educating the public. Prelude has been facilitating prevention programming in the schools for more than 10 years. The main programming includes LifeSkills, Transitions and Girls Circle. Each of these teach the students lessons on decision making, self-esteem, alcohol, tobacco, marijuana, social skills and communication skills. The programs are evidence based and recommended by Iowa Department of Public Health as a proven program to deliver to local schools and groups. To give you an idea of some of the prevention activities that are initiated by Prelude at a few of our local schools, we are pleased to share some updates provided by Prelude’s prevention experts. Girls Circle: In the month of April we started a new Girls’ Circle group with 7th and8th grade students at Regina Jr. High School. Our small, but energetic, group has gotten to know each other better while we learn about the importance of values, resolving conflicts, and goal setting. Recently, to practice cooperation and good communication, the girls were challenged to prepare a snack for each girl in the group while their hands were tied to each other. It has been fun meeting with these girls and watching them grow together! 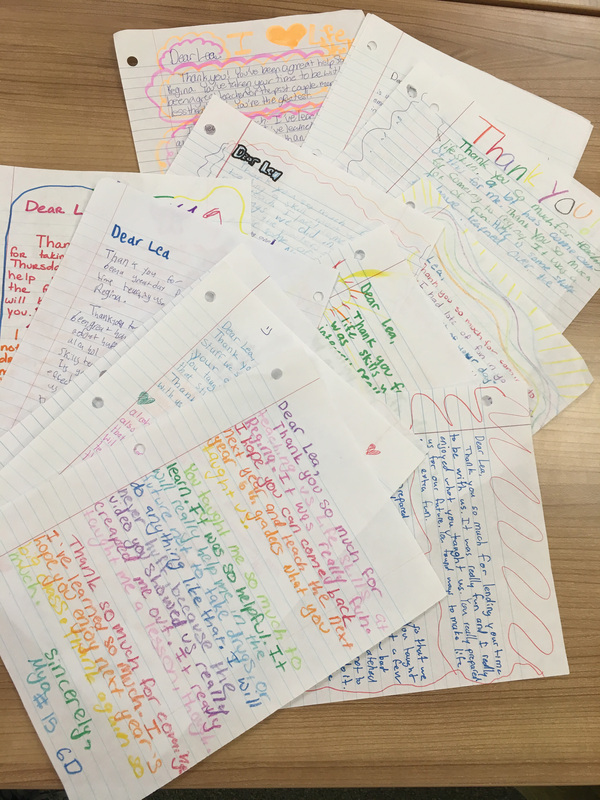 LifeSkills: The 6th grade Regina LifeSkills program wrote thank you letters at the end of their lessons. It has been such a joy to work with this group of students. They are always eager to learn and participate in whatever the topic and activity is. I love reading each of the letters written by the students, this quote is from one of the students. "Thank you so much for coming to Regina. I had lots of fun in your class. You took time out of your day for us. Your classes were awesome. You prepared us for life." Girls Circle: A group of seven 7th graders at Highland Middle School met every Friday for the whole school year. The girls explored many topics including what it means to be a girl, stereotypes and their own identity, how to take care of themselves, friendships and relationships, and other topics. The girls started with check ins about their week and how they were feeling. The girls then talked or did activities around the topic for that day. One activity included decorating picture frames and talking about what it means to be a good friend. Another activity (picture included) involved making Christmas ornaments and talking about what family means to them. KICK: A alcohol, tobacco and drug prevention group at Highland High School, met throughout the school year. They created prevention messages to encourage healthy choices. Some activities they did include putting messages on popcorn bags and throwing out “Quitline Iowa” stress balls at a basketball game. 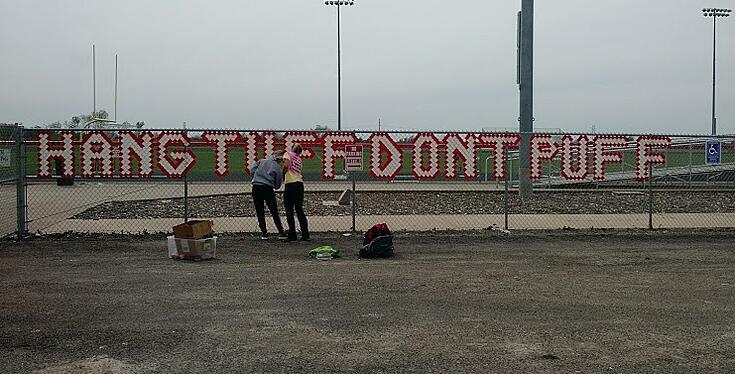 They also cupped the fence with the message “Hang Tuff Don’t Puff” and created posters for National Prevention Week. LifeSkills, an evidence-based prevention program, was implemented with all 6th, 7th, and 8th graders at Highland Middle school. Students learned many skills including communication, assertiveness, decision making, resisting peer pressure, conflict resolution as well as learned about alcohol, tobacco, drug abuse, and media tactics and influences. Transitions: Students from the Sigourney Alternative School participated in the Transitions program, which is an evidence based program that promotes health and personal development for students who are about to face new roles and responsibilities as they transition to college or the workforce. The lessons included goal setting, effective communication, managing stress, decision making, managing time and money, and building relationships. Girls Circle: 2017 was the first time that Prelude staff started a Girls Circle group with junior and senior girls at Sigourney Alternative School. There are only five girls in the group, and many of them were resistive to participating in the group initially. The school counselor suggested they participate in the group to earn more credits. The girls have since let their guards down and have enjoyed weekly meetings doing projects, poetry, and exploring health and wellness through the Girls Circle component “Wise and Well”. Prelude continued its 12-year relationship with two North English s6th grade classes again for the 2016-2017 academic year. Highlights this school year include working with students for “Kick Butts Day” and “Through With Chew” week. Students created anti-tobacco advertisements with their own original logos that were displayed in the 6th grade hallway. Girls Circle: Prelude Staff continued their relationship with 7th grade girls from Iowa Valley junior high school in 2016-2017. This set of girls (and a few newcomers!) met last school year as 6th graders to start the Girls Circle program. The Girls successfully completed the “Being A Girl” beginning component of the program, and went on this year to complete other components of Girls Circle, including “Friendship”, and “Exploring Relationships”. The girls had some personal relationship/friendship issues within the group mid-year that we were able to work through together as a group. 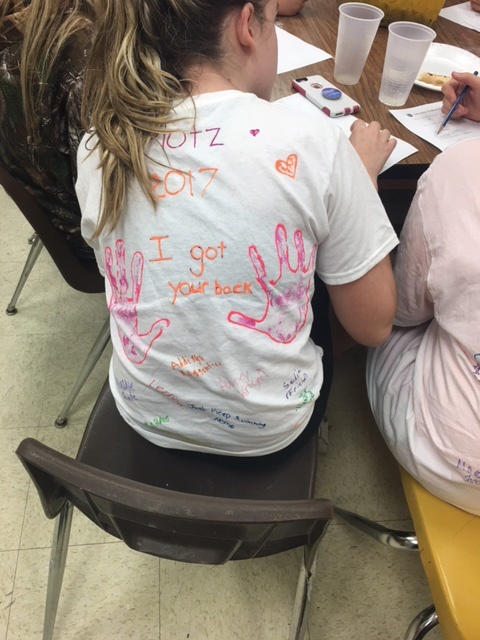 Everyone got along well by the end of the year, and the girls created t-shirts to proudly display their group name and kindness for one another. LifeSkills: I have been facilitating Life Skills at Iowa Valley Elementary School for a couple years now. In the past, I have only done Life Skills during the spring semester. However, this year I have been going throughout the school year and seeing the students every other week. This has worked tremendously well and has helped me build relationships with the students. A few topics we discussed during the school year were: alcohol, marijuana, tobacco, communication skills, decision making, and gambling. 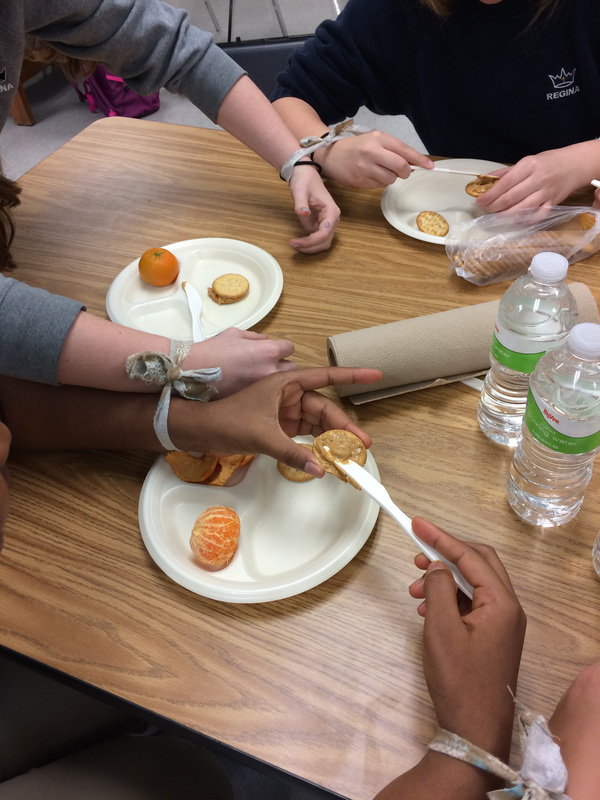 Along with discussing those topics we made anti- alcohol and drug advertisements, participated in “Red Ribbon Week” activities, and took part in “Through with Chew” week. I love working with the students out at Iowa Valley; they are always respectful, and excited and eager to learn. I am looking forward to a new group of students in the fall! Prelude Staff had another awesome year working with both the 5th and 6th grade students at Solon Middle School. In the Fall of 2016, staff worked with 6th grade students to complete year one of the LifeSkills program. In Spring of 2017, staff worked with the 5th grade students to prepare them for some of the topics they’ll be exploring next year when they participate in the LifeSkills program. The staff at SMS are always proactive to assist Prelude staff to create a flexible schedule, and the students are some of the most positive, inquisitive, intelligent, and polite young people that Prelude staff have the privilege of working with! Transitions: The program helps to prepare high school juniors and seniors for life after graduation whether that be college and/or joining the workforce. We focus on decision making skills, money and time management, building relationships, and managing stress. Girls Circle: We have also facilitated multiple Girls Circle groups this year. The one we are currently involved with has been very successful and beneficial to the girls. We have been meeting weekly with this group of girls since about February. Some of the topics we discuss are drama with friends, romantic relationships, family dynamics, self-confidence, respect for yourself and others, and communicating effectively with others. The girls we work with really enjoy getting together every week and look forward to us coming in. Even though the school year will be ending soon, the girls have decided to meet throughout the summer as well.